An underbite can be a tricky situation to deal with. Since it is much rarer than an overbite, those who have one can feel like they stick out or look odd. Underbites can also cause complications such as speech impediments, a slightly uneven facial appearance, bad bite problems resulting in difficulty eating or swallowing, and damage to the teeth due to the enamel being worn down in unnatural areas. Sometimes, it is possible to live ones whole life without having any complications from their underbite, but in many situations, a dentist will recommend having it corrected through corrective jaw surgery or similar methods. Underbites usually show up for genetic reasons. If a parent or grandparent had an underbite then there is a possibility that their children will be born with one. There are two underlying physical causes for an underbite: dental misconfiguration (such as a misaligned jaw) and skeletal positioning. In either case, it is much easier to treat this situation when the patient is a child than if they wait until they are an adult. The mouths of children are still growing and can be manipulated through a variety of appliances and procedures to correct the underbite early. It is very rare that a child having their underbite corrected would need to go the surgical process for bite correction or lower jaw alignment. If one reaches adulthood with an underbite and decides to correct it then they are going to either be getting braces or having to undergo surgery. There is not much personal choice between these two procedures since braces alone will only work if the underbite is caused by dental misalignment. If the underbite has any skeletal causes, then there is no other option besides corrective underbite surgery. Going the surgical route can seem like a scary thing but fixing an underbite is far from open heart surgery. In most cases, the jaw is simply misaligned, though sometimes it may be overdeveloped as well and need to be reduced in size. To prepare for the surgical plan, the dentist or orthodontist will take X-rays to get a good idea of the underlying skeletal structure. They will then work with an oral surgeon to come up with a plan to correct the bite. When the surgery starts the patient is given general anesthesia and put under so they will not feel or be aware of any part of the procedure. For some, this is a relief. 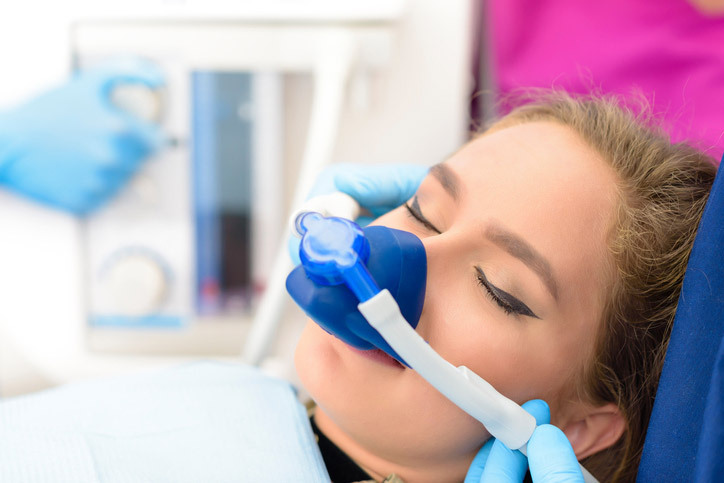 Minor procedures like wisdom teeth extraction usually start with a hit of anesthetic that gradually wears off toward the end, but underbite surgery is a different situation. This surgery can take several hours so there is an anesthetist there to make sure the patient is under the whole time. If you are worried about being knocked out then be rest assured that the anesthetist’s focus will be on your vitals and the anesthesia the whole time to make sure you are okay while the surgeon operates. As for the surgery itself, the process is usually simple. The surgeon will make incisions at the back of the lower jaw, near the wisdom teeth, to get to the bone. Once there they can modify and slide the front part of your jaw back to reposition it where the best bite alignment is. Take a look at the graphic for the underbite modification in this article to get an idea of where exactly the modification is occurring. If the front jaw bone is repositioned but not reattached internally with plates and screws, then the jaw will need to be wired shut for several weeks, usually up to six, to allow it to heal in place. A patient who has had their jaw reattached with plates and screws should not need to be wired shut but will have some major dietary restrictions during the first few weeks of the healing phase. While it is important to not stress the jaw at all in the early stages of healing, the discomfort will probably be enough to not make you want to cheat on your liquid and soft food diet. Though this phase may feel difficult to get through it will not last long and you will be rewarded with a fantastic smile. After surgery, the patient will be allowed to wake naturally from the anesthesia and usually is kept overnight for the first evening. Pain relieving medication will be administered and the patient will be restricted to a liquid diet for a few days unless their jaw is wired shut. In the case of needing to wire the jaw shut then only a liquid diet will be able to be consumed. In either case, after about six weeks the healing should be at an end and the patient should be able to eat normally again. There will be facial swelling for the first few days and pain may last several weeks as the jaw heals. After they have left the surgery facility the patient will be asked to return for check-ups at regular intervals for the first three months in order to monitor the progress of the healing. While this is the process that the surgery takes, it should also be understood that underbite surgery is usually also accompanied by orthodontic installations such as braces either before or after the surgery. Sometimes braces are needed in both phases. This is to help resolve any dental misalignment that is present since the underbite surgery only addresses the jaw positioning as a whole. Everyone’s mouth is different so your experience and treatment plan will be unique to you. Underbites are not something that anyone wants and it is perfectly fine to want to fix yours for cosmetic reasons. Parents tend to want to spare their children from uncomfortable and embarrassing things like retainers and headgear if there is no medical reason to subject them to it. That does not mean their adult children will always thank them for it though! If you are looking at getting underbite surgery, hopefully, this information has helped you make your decision. 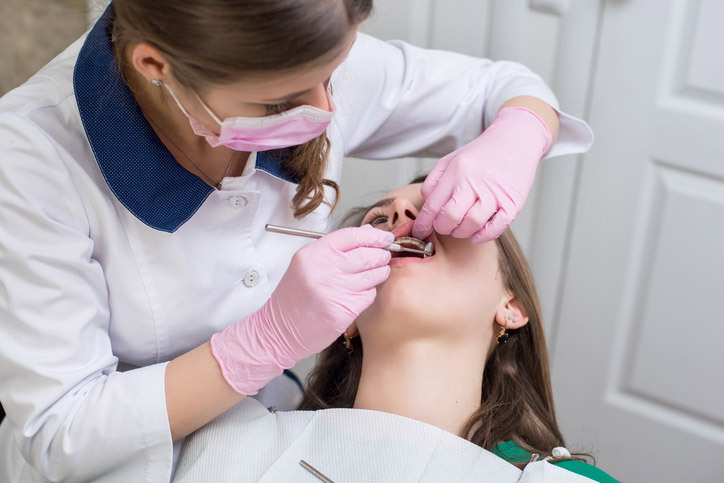 It is a fairly simple process that does take a few weeks of recovery time, but in the end, you will have the straightened bite that you are looking for.